Sarah Auger, from Wallasey, is a co-author of ‘Mumpreneur on Fire 4’, the final instalment in a best-selling series that collates inspirational stories from women in business across the world. Sarah’s chapter includes the devastating story of the loss of one of her newborn twins, birthed at just 28 weeks old. This was at the same time her eldest son was being treated for his autoimmune system, which led to him going blind in the same year. Sarah told JMU Journalism: “My chapter in the book tells of my story that started four years ago, about my children, my loss, and grief and how four years on I now run a successful business, helping parents find sensory solutions for children with special educational needs and disabilities. 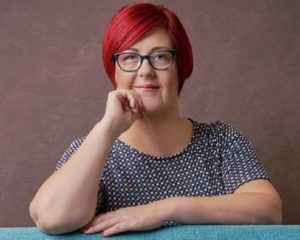 Founder and creator of her firm, The Sensory Fairy, Sarah set up her business in 2017 in a bid to help parents of children with Special Educational Needs and Disabilities (SEND) by providing them with solutions that will help kids in everyday life. Sarah said: “The Sensory Fairy’s company ethos is one of great passion. I believe in making resources, toys, equipment and specialist clothing for parents of children with special educational needs and disabilities, easily accessible, as these are readily available for professionals and schools. The Mumpreneur on Fire series is published by the Mums In Business Association (MIBA), an international group founded by sisters Estelle Keeber and Leona Burton, who believed there was a lack of online support for mothers who wanted to start their own businesses. The duo created MIBA in June 2017 and have built up a network of over 31,000 members across the globe. Mumpreneur on Fire 4 is available now from Amazon in digital and paperback formats.
? I’m a No1 Best Selling Author! ? Yesterday our book, Mumpreneur on Fire 4 went on Pre sale earlier than expected, and in less than 24 hours it became a No 1 Best seller.